Thursday October 6, 2016 was a very sad day for Winnipeg’s Assiniboine Park as they had to say good bye to an old friend. Like many of Winnipeg’s boulevard Elm trees their beloved Grandpa Elm had unfortunately succumbed to Dutch Elm Disease. This majestic tree stood at the entrance of the parks foot bridge adjacent to old Grandma Elm which met the same fate only a year ago. Both trees we’re know to have lived over two centuries! Sources say that back in the days of horse riding, people would rope off their horses when visiting the area. 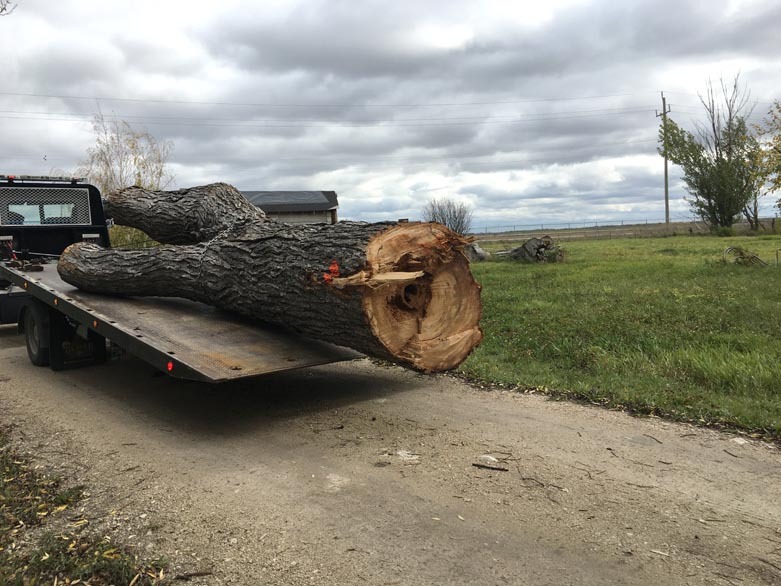 The park had Grandpa Elm brought back to our site as its final resting place. As you can see we moved it right next to Grandma Elm.